HOW: and precedes to makes friendships and notice odd things about his apartment and others’ places as well. + The story draws upon many iconic sources (Shirley Jackson, H.P. Lovecraft, Kafka…) but manages to make it all work in a fresh new way. There are elements of horror, yes; but it is also something of a mystery, a work of speculative fiction with a dash of steampunk and maybe could even be considered a bit of a thriller… it manages to go to all these places literarily speaking and surprise you without it seeming forced. 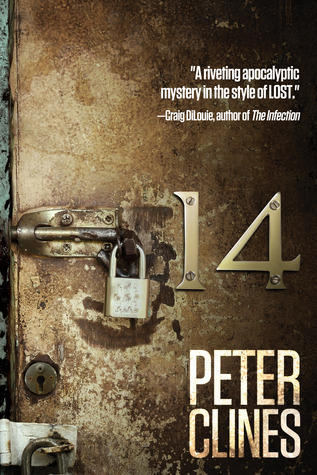 OTHER: I purchased a print copy of 14 (by Peter Clines) from AMZN. I receive no monies, goods or services in exchange for reviewing the product and/or mentioning any of the persons or companies that are or may be implied in this post. WHEN: twelve years after the events in Gone Baby Gone, which serves as the set-up for the moral equivocation of “societal ethics versus situational ethics” as defined within the context of children and families, and which is played out further in this novel. HOW: and solicits the help of Angela to close out this chapter of his life. + Yay for Dennis Lehane who didn’t keep his series characters stuck in a time or cultural vacuum! Readers still recognize the core make-up of Kenzie and Gennaro as they develop, change and otherwise mature over real time. – Oh! But this seems like Lehane is writing off his series and with a whimper instead of a bang at that. This is not his strongest writing: The plot seems thin and outlined rather than fully developed. Moonlight Mile is a tired effort that doesn’t ring true, as in Lehane didn’t keep it real. – Also: There wasn’t enough Bubba. 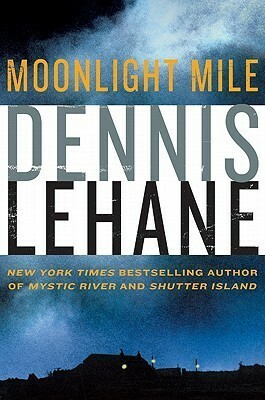 OTHER: I acquired a used copy of Moonlight Mile (by Dennis Lehane) from the Rogue Book Exchange (Medford, OR.) I receive no monies, goods or services in exchange for reviewing the product and/or mentioning any of the persons or companies that are or may be implied in this post. WHY: as a sort of surrogate son. HOW: The couple anthropomorphize the primate and inadvertently inculcate a dual nature within Louee. + Stylistically, A Beautiful Truth is interesting in its use of and reference to language: Dialogue is stripped of quotes and; Pronouns are not necessarily tethered to the subject in the topic sentence of a paragraph. The reader needs to linger a little over each sentence to catch the current of mood that will take him/her to the next point. + The novel raises some intriguing questions about the nature of primates and the fine line that may exist between humans and apes. The whole of the novel is cut with chapters from various chimps’ points of view, which are written in short truncated sentences; and while the humans’ chapters are more fully developed, the sentence structures themselves are not complex. The near stream of consciousness from both the human and the apes emphasizes the similarities between the primates. + Humans tend to project human meaning into other orders of animals, and Judy and Walt (the adopting couple) are no different. However, the actions described by the very words that emphasize commonalities, throw into sharp relief the wild nature of non-human animals. Clever bit, that! – The reader needs to work a little to negotiate and hopscotch the atolls of mood and thought as presented as a result of the writing style, making the novel as a whole semantically challenging. 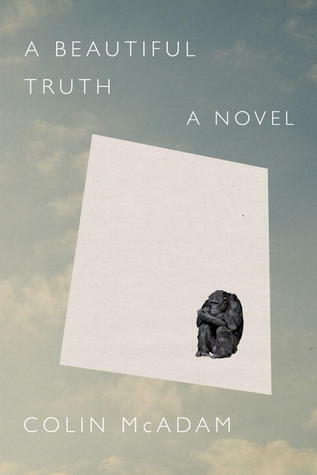 OTHER: I received a paperback ARC of A Beautiful Truth (by Colin McAdam) from a publishing industry professional and friend. The ARC was unsolicited but highly recommended by my friend. I receive no monies, goods or services in exchange for reviewing the product and/or mentioning any of the persons or companies that are or may be implied in this post. The following graphic is a great synopsis of The Man in the Empty Suit. It is from Unshelved.com and was created by Gene Ambaum and Bill Barnes. Though the The Man in the Empty Suit had appeared on my radar, it wasn’t until I saw this graphic (courtesy a FB share from SOHO senior editor, Juliet Grames) that I knew that I had to go get a copy and read it! 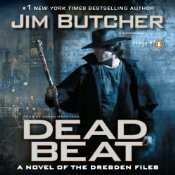 Shockingly, the audio edition of the book was less expensive than the print or eBook editions, so I purchased the audiobook from the AudioGO web-site. 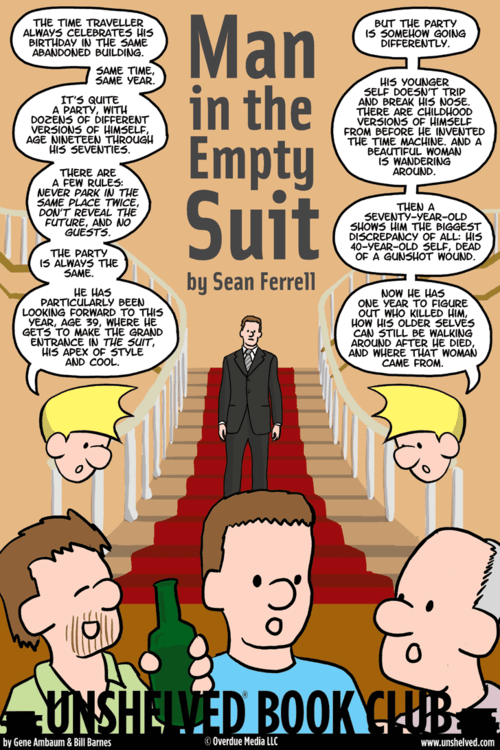 + The Man in the Empty Suit is a fascinatingly complex tale rich with imagery, other sensory detail and moods. 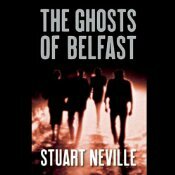 Overall dark and seedy in tenor, the ruin of a hotel, the flares of color, the spill of liquor, the smell of dishevelment… all are the background rattle and hum of a story in which a man struggles to rise above the personal hell of his making and, his own selfish nature. – The narrator has a clear voice; but didn’t do particularly well in shaping the text, delineating the different iterations of the main characters, and failed to maintain the feminine aspect consistently for a major female character. As a result, I was somewhat confused as to what was really important in a tale fraught with possible allegorical details vs clues in the mystery and; whether I had missed something or if there were plot holes. As for the undifferentiated voices of the main charcter, when he was talking to different versions of himself, it became unclear as to who was speaking though there were textual cues that the narrator could have used to help create distinction. And wow, having a female character all of the sudden speak in a mannish way not only took me out of the story; but wondering if it was a correction that wasn’t voice matched. Also, there was booth noise late in the production which is something that drives me insane in a professional production. 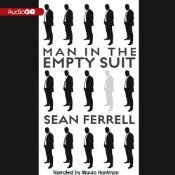 OTHER: I bought a digital dnload edition of The Man in the Empty Suit (by Sean Ferrall; narrated by Mauro Hantman) from AudioGO. I receive no monies, goods or services in exchange for reviewing the product and/or mentioning any of the persons or companies that are or may be implied in this post. 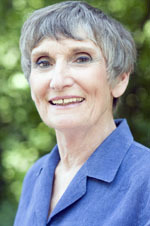 HOW: by learning who the voice belongs to and what closure the ghost-voice needs to rest in peace. + Jan-Philipp Sendker’s facility to transport the reader via understated but powerful prose to a foreign time, place and emotional situation as if it were intimately familiar is impressive. – There are sections that are decidedly not as poetically rendered as the other parts of the novel or The Art of Hearing Heartbeats. In particular, the relationship between Julia and Thar Thar (a monk) was marked by relatively prosaic passages and oddly unsophisticated sentiment. I’m not sure whether this is a matter of the original writing or the translation. + The Well-Tempered Heart is what the author himself has described as “the art of forgiveness” and is a story of difficult choices made and the repercussions thereof. 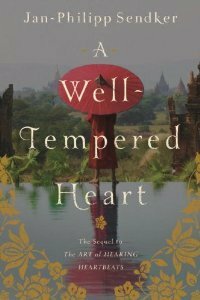 It’s not as uplifting at its core as The Art of Hearing Heartbeats and, while not packing the emotional punch of the first novel, The Well Tempered Heart still remains a beautiful, thoughtful and truly memorable story.